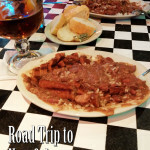 Published: 05/25/14 12:23 AM in Grand Trees, Local, North America, Travel. 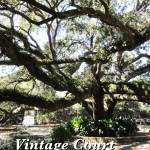 During our trip to New Orleans for the wedding of my favorite cousin, Kevin and I spent an afternoon exploring City Park and wandering through the gorgeous Oak Alley there. 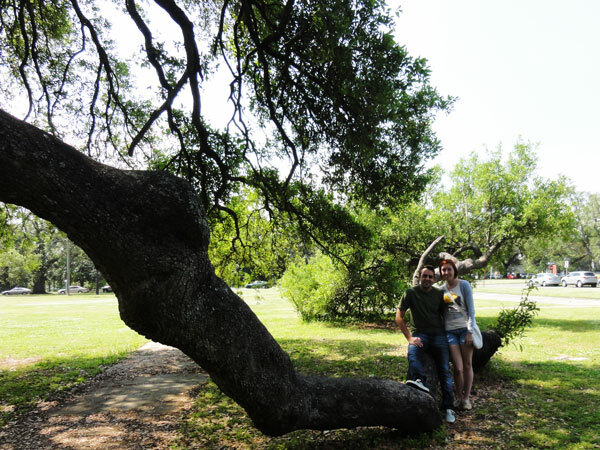 Since we love visiting old trees that have history in their growth, we stopped to take some pictures of the Suicide Oak in City Park. 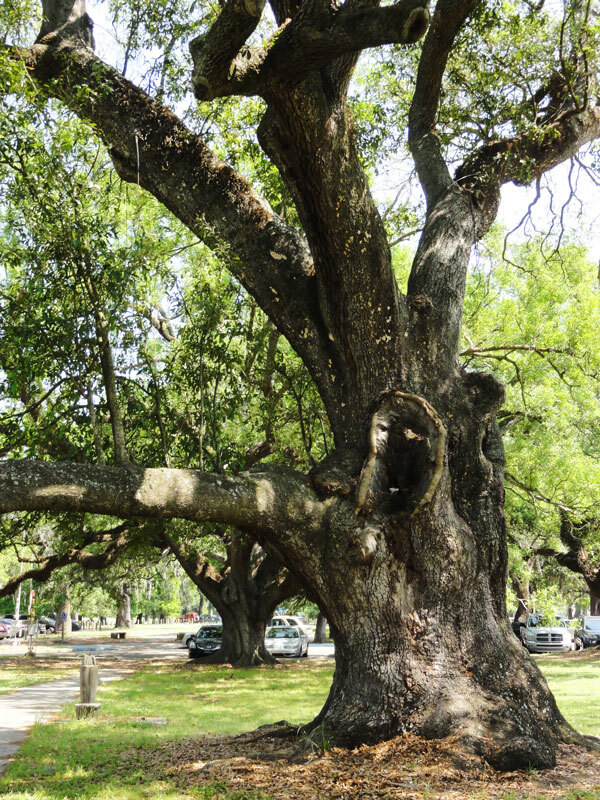 The Oak Trees in City Park are one of the iconic areas in the city of New Orleans. 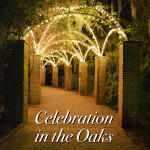 Every Christmas the park puts on an event called the ‘Celebration in the Oaks’ during which the many live oaks in the park are draped with LED Christmas lights. 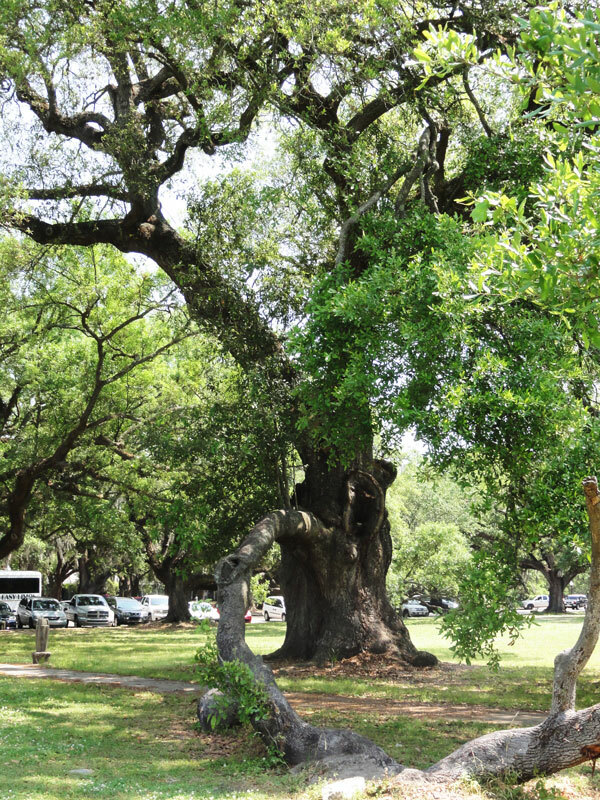 At night, visitors drive through the area enjoy the display put on by these large, old oaks. 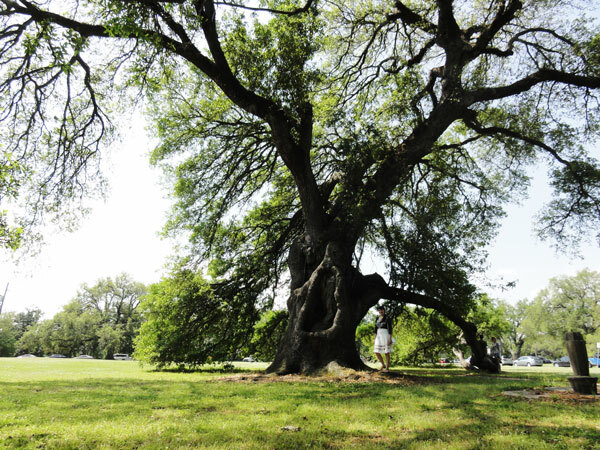 There are quite a few historic oaks trees in City Park, most of which have a history stained by bloodshed and the Suicide Oak is no exception to this trend. 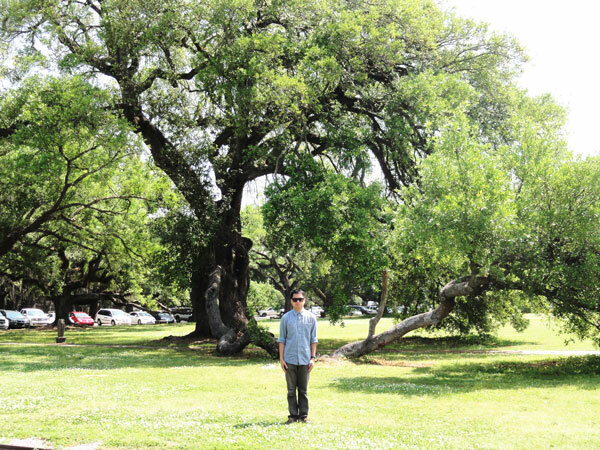 However, unlike the history behind the Dueling Oaks, the Suicide Oak’s bloodshed is self inflicted. 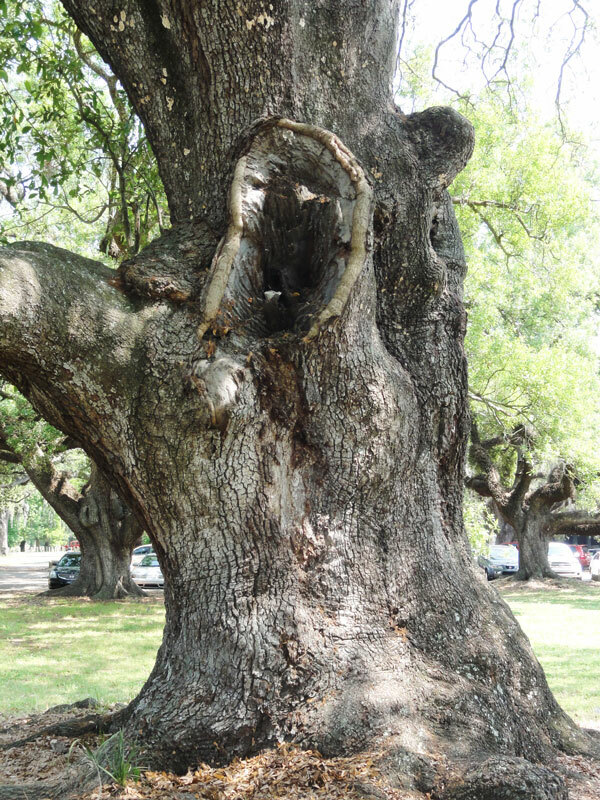 As it is hinted by the name, the Suicide Oak was a popular spot to take one’s life in the old Creole days of New Orleans, Louisiana. Although no famous suicides took place here, it was the frequent spot for spurned lovers or bankrupted fortunes to end their lives and it was usually by pistol or poison. 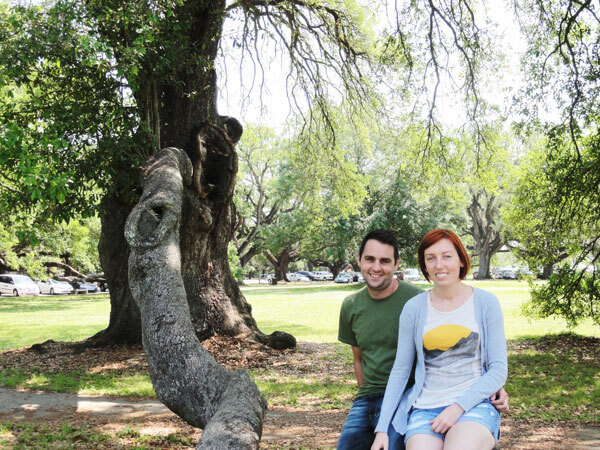 Much like during Kevin and I’s visit to The Tree of Life in Audubon Park, we really enjoyed being in the presence of such an old, beautiful oak tree. It is always a joyful experience to be so completely surrounded by nature. 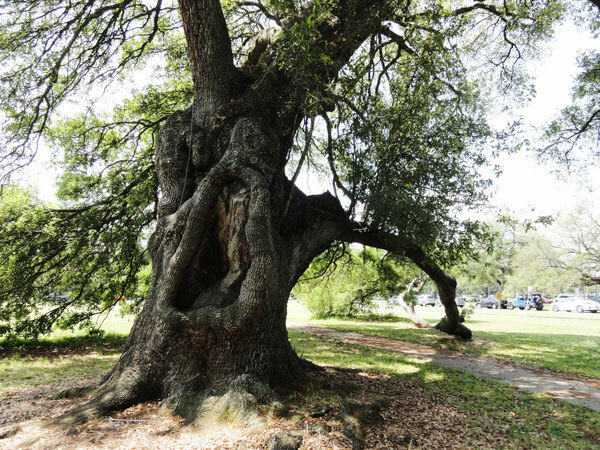 When an oak tree is given the freedom to grow and expand naturally, it results in a magnificent display of the grandeur of the natural world. 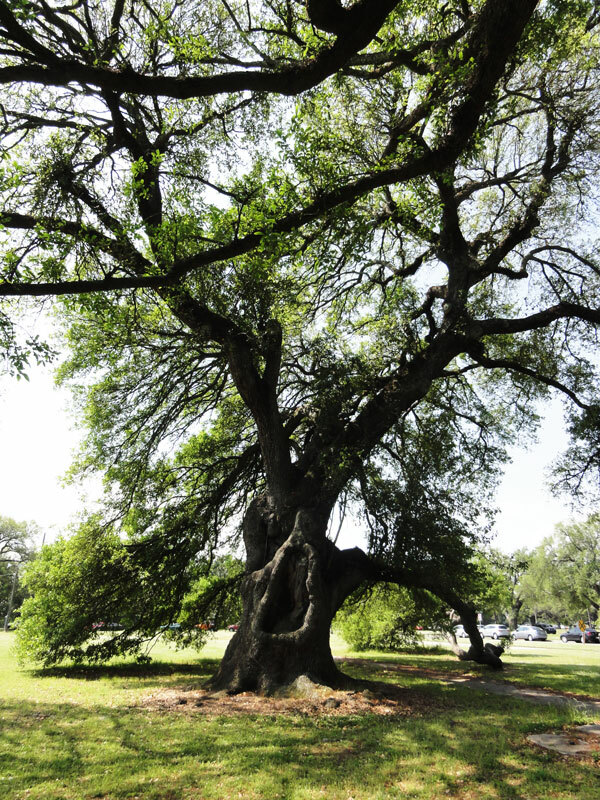 Their branches reach up the the sky and then slowly dip back down to the ground from the weight of its expansion. The scars of many years surviving storms and disruption are apparent all along their trunks. 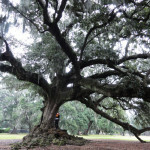 In short, there are few things as beautiful as a lovely, grand old tree and Oak Trees are one of the grandest. It is pretty interesting how flexible the thick branches of oak trees are. This allows them to swing and sway in the wind, but also makes it easy for them to get damaged over time. However with care, they make a lovely place to sit and enjoy the shade. 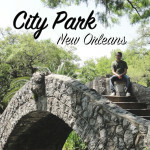 For our day in City Park, my brother and his girlfriend joined Kevin and I to wander through the trees. 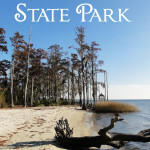 We walked around the park until the heat became overwhelming! However we also shot a Save the Date video as an informal way to let people know about the date and location of our upcoming wedding at Vintage Court! Check out the Save the Date video at the bottom of the post!